With its built-in digital-to-analog converter, Bluetooth streaming, and wide array of analog and digital inputs, you might think that the MaiA Pre was a full-size stereo preamplifier. But when you see it in person, it's astonishingly small — easily capable of being tucked away in a bookcase or used in a versatile desktop system. The Pro-Ject MaiA Pre can handle all your analog and digital music sources, plus Bluetooth for wireless music streaming. The MaiA Pre's compact, all-metal chassis boasts connections for up to nine audio sources, including a high-quality phono input for your turntable. Just connect this little puppy to your favorite powered speakers, headphones, or power amp, and prepare to enjoy exciting, lifelike sound. 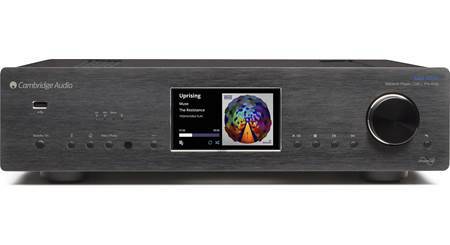 The MaiA Pre's built-in DAC faithfully renders your digital sources, including high-res music files. There's also an asynchronous USB input for using your computer as a high-fidelity music source. 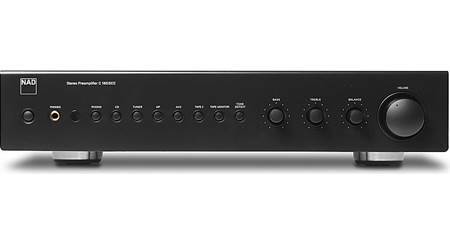 One coaxial and two optical digital audio inputs means this amp is also ready for CD and Blu-ray players, network streaming devices, and more. Is the output fixed or variable? Variable. Volume knob front and center. 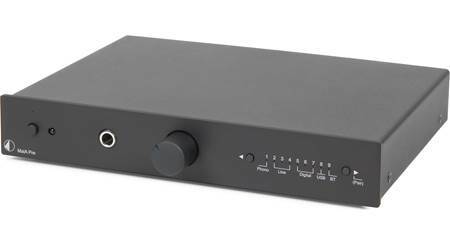 Preamp & DAC: The Pro-Ject MaiA Pre is a small preamplifier/DAC combo with ultimate input flexibility, that is designed to be used with either active speakers, headphones, or any high quality power amplifier. Despite its small size, 9 source devices can be connected simultaneously offering analog & digital input options. A high-quality 24-bit/192kHz DAC is used for its USB, digital, and Bluetooth connections. No matter which input you choose, you'll get a natural & lifelike sound. 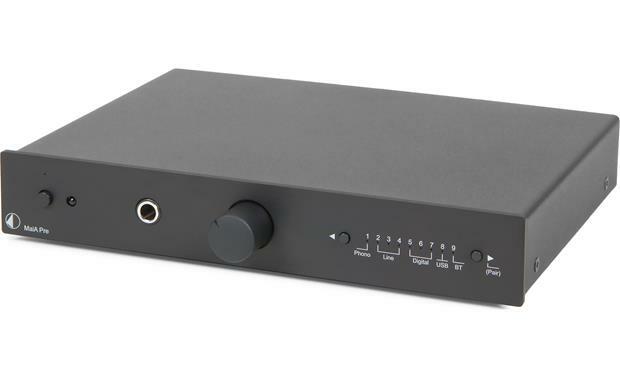 Low Output Impedance Preamplifier: The MaiA Pre offers a special low output impedance pre amplifier output stage (< 100ohms) to drive long NF cable lengths without loosing quality. 24-Bit/192kHz DAC: The Pro-Ject MaiA Pre utilizes a Cirrus Logic 24-bit/192kHz multi-bit delta-sigma type DAC (CS4344) for exceptional sound quality from the unit's USB-B input, optical & coaxial digital inputs, and built-in Bluetooth. Asynchronous USB-B Input: The Pro-Ject preamplifier/DAC provides a USB-B input to connect your Windows PC or Mac computer for playback of compressed and high-res music files stored on your laptop or desktop. 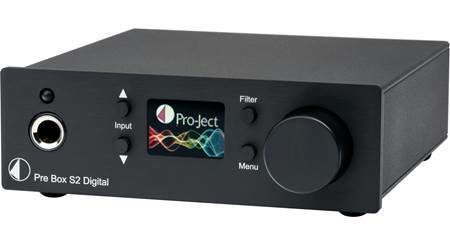 The unit's USB-B input bypass the inferior DAC in your computer and utilizes the 24-bit/192kHz DAC of the MaiA Pre for exceptional sound quality. Asynchronous technology allows the digital clock inside MaiA Pre to control the flow of data coming from your computer. This method of communication leads to less jitter (timing errors) for the unit's built-in DAC to deal with which results in clearer more defined sound. Built-in Bluetooth: The MaiA Pre offers built-in Bluetooth for wireless music streaming of stored music and music apps on your Bluetooth-enabled Apple iPod/iPhone/iPad, Windows PC/Phone, Mac computer/laptop, and more. The MaiA can pair with up to 8 Bluetooth devices, but only one can be used at a time. You'll still continue to use your Bluetooth device to control music playback and view song/artist information. Note: Due to the differences in Bluetooth technology, some Bluetooth enabled devices may be incompatible, function improperly, or may not support all features when used with the Pro-Ject MaiA Pre. Optical & Coaxial Digital Inputs: The Pro-Ject MaiA Pre features two optical (toslink) digital inputs and one coaxial (RCA) digital input to connect your Blu-ray/DVD player, cable/satellite box, game system, or TV. These digital inputs will accept 2ch PCM only. 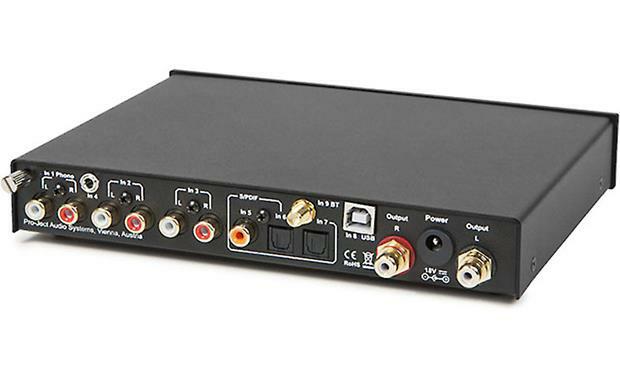 The optical digital inputs support up to 24-bit/96kHz, while the coaxial digital input supports up to 24-bit/192kHz. Line-Level Inputs: The MaiA Pre includes two sets of stereo RCA inputs for connection of an analog audio device, like a CD player, AM/FM tuner, or tape deck. There is also a stereo minijack (3.5mm) input for connection of a portable music player. Phono Input: The Pro-Ject preamplifer/DAC is equipped with a Phono input for connection of a turntable with an MM or MC cartridge. Line Output: The Pro-Ject MaiA is fitted with a stereo RCA line output to connect to a power amplifier or powered speakers. Simple Control: The Pro-Ject MaiA Pre includes an IR remote control for wireless operation of the preamplifier/DAC. Control options include Power On/Off, Input Select, and Volume Up/Down. These same controls are also located on the unit's front-panel. Metal Chassis: The MaiA Pre features a metal casing which effectively protects against interferences. The MaiA Pre is available with silver or black faceplates. AC Power Adapter: The Pro-Ject MaiA Pre operates off of standard household current using the supplied external AC power adapter. can I connect both active speakers and a subwoofer at the same time? There is only one set of outputs to an amplifier. You could try use RCA splitter to run output signals to two amps. Searches related to the Pro-Ject MaiA Pre Compact stereo preamplifier with built-in DAC and Bluetooth®.